There are lots of benefits of using limestone as a natural stone for creating charming characteristics to your home and giving it a historically and culturally-rich look. With chemical and physical properties (density, compressive strength, hardness, water absorption, weather impact, and porosity), limestone is the first choice of architects and designers in all corner of the world. It is non-slippery, non-porous, and easy to maintain. That is why this stone boosts the aesthetics of any surrounding with its smooth texture, finish, and tone. Limestone suppliers can help you get the best stone to illuminate all corners of your home. Limestone fireplace: Limestone is a right natural stone for fireplaces due to its ability to resist fire and heat. If you need a stone to make the fireplace look stunning, this durable stone is incredibly beautiful. It is an ideal mix of colors, texture, and hand carvings that makes limestone a perfect stone for gaining a unique appearance. Limestone flooring: Being durable, limestone can withstand highly trafficked areas. That is why it is a great option for flooring and stylish beauty. Limestone flooring tiles from professional limestone suppliers are sold in multiple colors, styles, and shapes. Just choose the right option that can capture your vision. Limestone door surrounds: For centuries, millions of homes, buildings, monuments, and concrete structures have been using limestone for adding more exquisiteness to all big or small doors. This stone is a visually appealing material that renders all doors a timeless beauty. Limestone fountains: In European culture, limestone fountains are common as they reflect water as a basis of life. Fountains contribute to bring water to your homes and making your outdoor structure look visually stunning. This stone easily withstand harsh climates. Limestone columns: Limestone columns are the first structures in any building that make eyeballs roll. Columns developed with this stone are versatile, beautiful, and durable. Limestone sinks: If you love to have an old-world style, nothing can be more impressive than a limestone product. This dense and long-lasting material in multiple hues matches the interior design of the kitchen. With travertine and marble characteristics, this stone provides a unique gaze. Limestone kitchen hoods: If you are looking for posh and visually alluring material, limestone increases the appeal of your kitchen’s ambiance. Customized kitchen hoods made of this stone imparts a comfortable feeling and creates the environment you want. Limestone countertops: For every interior design, limestone countertops are a fantastic alternative. They are versatile, durable, and resistant to heat and humidity. Indian, Italian, and French limestone functions as granite. Limestone stairs: Stairs are all about beautiful aesthetics as they impart every building a glance of a big palace or old world castle, especially in Europe. 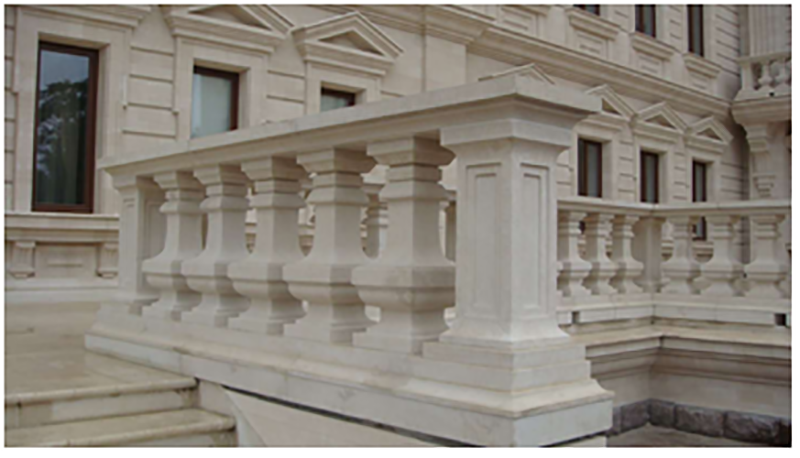 Limestone supplied by leading limestone suppliers is a great choice for highly trafficked areas. This stone is durable for withstanding heavy traffic. 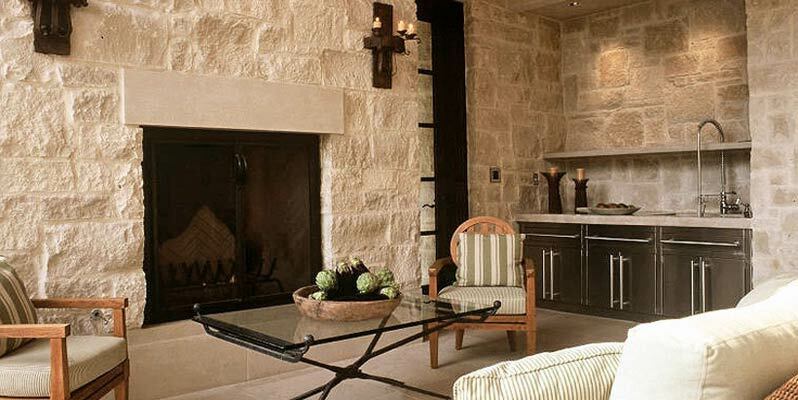 Limestone walls: High-quality limestone quarried and processed by Indian limestone suppliers, limestone manufactures, and limestone wholesalers help you design a weird style for your domestic walls. This stone is versatile, cost-effective, and low maintained and craft swank, inspiring spaces. Limestone roofing and tiles: All bathroom, drawing room, and kitchen floors become alive with limestone. In an assortment of colors, shapes, and sizes, limestone tiles for flooring or roofing give everything a charismatic European look. When you find all above limestone products quite beneficial for adding more character and beauty to your domestic concrete structure, you need the best limestone suppliers to make things happen. Regatta Universal Exports, one of the leading limestone suppliers and manufacturers, extends a helping hand with an assortment of top quality Indian limestone in all corners of the world.